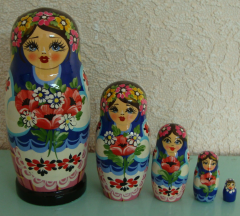 The set of a nested doll consists of seven units which are in turn put one in another. Preparation material - deciduous breeds of a tree. 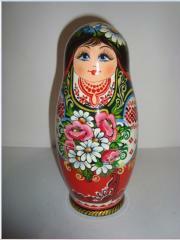 Height of a bigger nested doll - 23 cm. 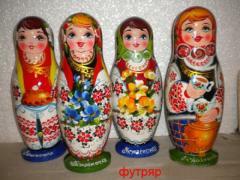 The product is painted in style of national Ukrainian traditions manually and covered with several varnish coats. 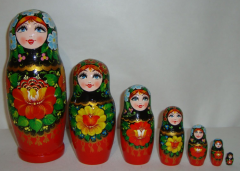 Quality of production is confirmed with the certificate of the State sanitary examination. 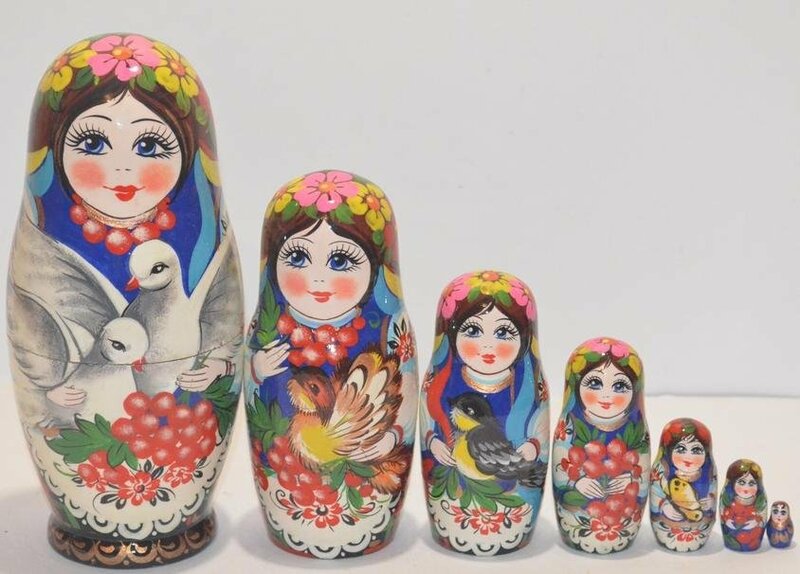 Unbelievable price on The Ukrainian painted nested doll from 7 pieces big 709 in Chernigov (Ukraine) company Fabrika Hudozhestvennye promysly, OOO.